I have wanted to attend a Vipassana program for ages. There are friends who have attended multiple sessions who vouch by its benefits and others who say they had no/limited impact. I decided to experience it. There are over 40 centres in India (and many more globally) and most get booked months in advance. A little research helped me make my shortlist of 3, Igatpuri – Near Nasik, Bodh Gaya & Dharamshala. I was lucky to find that Bodh Gaya had a course at the time in which I could take a 10-day leave. What better place to start your meditation that the town where Siddhartha got his enlightenment! 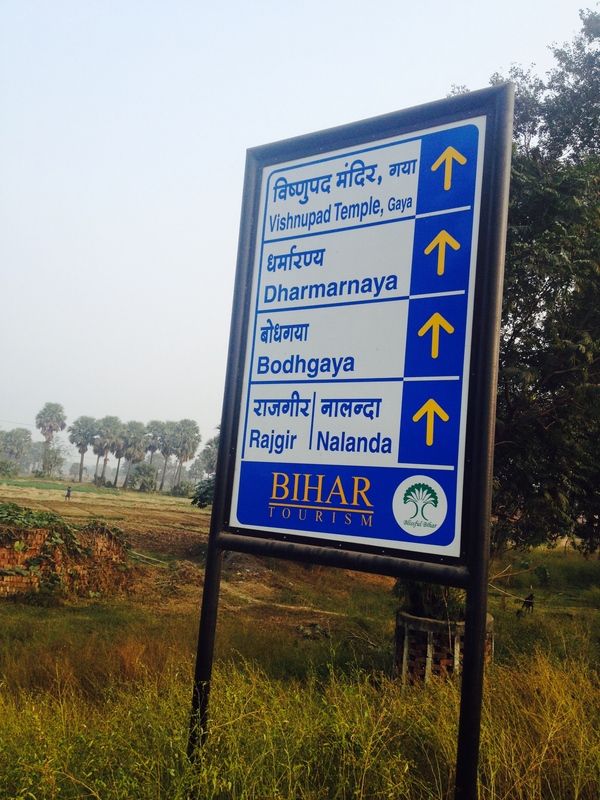 Its an interesting location – with Nalanda and Rajgir at a 3 hr drive from Bodh Gaya. I made my bookings in August for the Dec 1 Program, Bangalore – Delhi – Patna by flight and then a 3 hr. drive to Bodh Gaya and finally reached my destination. Coming so far I made time to visit the Bodh Gaya Temple and the famous Pipal tree spot where Siddhartha got his enlightenment. The temple is a world heritage site and very well maintained. Lots of positive energy and sitting below the massive tree at 5 AM even a layman can start his meditation journey. 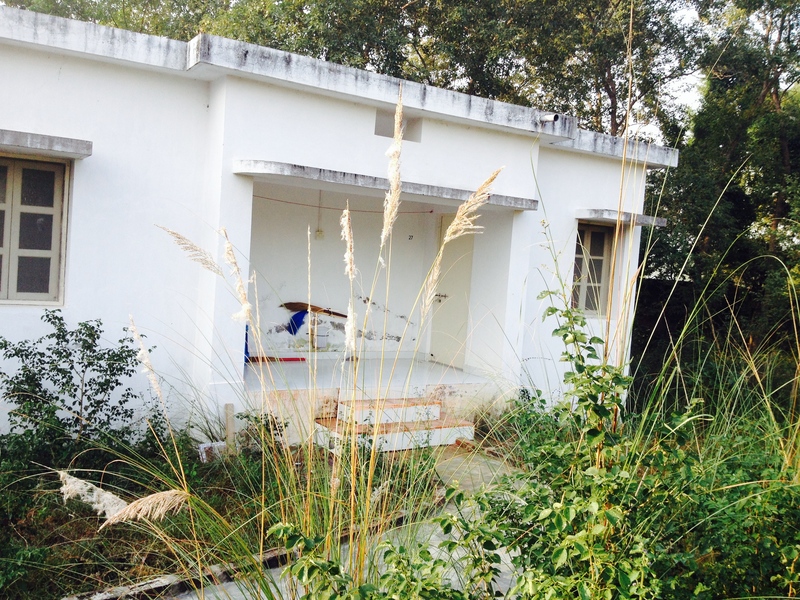 I planned to be amongst the first so that I would get a single room – which I did. 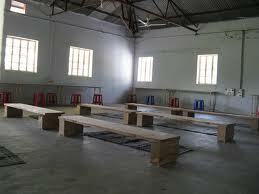 The camp is spread over 18 acres, lot of trees, about 25 – 30 cottages and buildings that can house about 100 inmates. Calm, peaceful, rustic, clean and Spartan. My room was similar to my college single room with its own attached bathroom. Functional – meets the need very well. The place is rustic and beautiful – but has seen better days. Day 0: Registrations happen in the morning and you handover all your gadgets / pen / paper everything except your clothes and toiletries. At 6.30 PM the participants are briefed on the rules. You need to take a vow and follow the foundation of the practice sīla — moral conduct. Sīla provides a basis for the development of samādhi — concentration of mind; and purification of the mind is achieved through paññā — the wisdom of insight. The key percepts are – Maintain Noble Silence (Silence of body , speech & mind – even eye contact is not allowed). Other rules – No Stealing, No Lies , No Killing ( I struggled to live with 5 large spiders in my room) , Maintain Celibacy , No Liquor /Intoxicants / Non Veg food and total segregation of male and female meditators. Others are no Yoga , no exercise , no chanting of mantras , removal of sacred thread etc. Day 1 : The session starts at 4.30 AM – so you need to be up at 3.45 AM take a bath (not compulsory but I did) and report at the meditation center at 4.25. All the instructions are taped / videotaped conversations from Guruji (R.P.Goenka – The passionate founder who brought this movement to India in 1969 after learning it in Burma. He is not related to the Goenka business from Calcutta). There is a very Sr Acharya who program manages the whole event and a few Jr Acharya’s assist him. The routine is rigorous and spans almost 18 hrs/ day. You get about 6 hours of sleep. The Dhamma Talks are interesting. The content is simple & good, but Goenka Ji is a moderate orator. The teachings are a reiteration of how Vipassana is simple, practical and the essence of how Siddhartha got his enlightenment.And how with practise and commitment everyone can learn it. Day 1 to 3 is spent only in practicing and perfecting a breathing technique called “Anapana Sati”. Before I explain what this technique is lets step back a little and understand what Vipassana is all about. Vipassana is a 2500-year-old technique that Gautama practiced to achieve nirvana. It’s all about observing and getting deeper and deeper into your body. The most important thing here is to OBSERVE, not have feelings of like or dislike. By this process your mind slowly moves from the gross to the subtle. You sharpen the mind to cut thru the body and look deeper and deeper. “Anapana Sati” is a breathing technique that helps you sharpen the mind. The mind then acts as the tool. Gautama found thru this process as he went deeper and deeper that at the final innermost layer the body is nothing but wavelets. The smallest subatomic particles that are in constant transition – replacing itself almost a trillion times every second. When you reach enlightenment you are able to see your body as a light wave and the energy balance becomes perfect. In the process of going deeper and deeper using your mind like a knife you also eliminate from the root all the layers of impressions, dogma’s, filth, emotions, desires that choke you and cause unhappiness and suffering. Here is a quick look at how the course evolved over the first 5 days. The end objective being to teach you the technique practised by Buddha. Day – 1 : You just observe your natural breath going in and out. This technique is used to eliminate thoughts. The mind constantly wanders and you focus the mind on the breath. It helps you increase your concentration and control the meandering mind. It’s frustrating initially but by the end of the day one does get the hang of it . At the end of day – 1 I was still a sceptic – I had spent 10 hrs. just observing my breath and it did seem like a waste of time. Day – 2 : You observe the breath hitting the inner walls of your nostrils. It’s like watching the path of the breath as it bounces along the inner nostrils. You observe the temperature of the breath – cold going in warm coming out. At times it goes thru both nostrils, at times only thru one. 10 hrs. of this – By end of Day – 2 I started seeing some excitement – but still a skeptic. Day – 3 : You observe all the sensations in the triangle that borders the upper lips as base extending along your nose. This is tough. Initially you feel no sensations but after a few hrs you start felling the first small tickle. Then slowly with time you experience other sensations – a small throbbing, at times warmth, sudden burst of cold draft , some pin pricks , at time pulsing, sometime an indescribable sensation – a variety of sensations which you thought never existed. As the mind has become sharper it is able to start identifying these sensations. They always existed – the gross mind does not see or experience them, the subtle perceptive mind does. This was a very interesting experience and a great discovery. Something that can be used on a ongoing basis. Day – 4: In the first half we start getting more precise. We now observe the sensations in the small area above your upper lip and below the nose. Now you are focused on a much smaller area, this is like sharpening the pencil even more and making it ready for Vipassana. The mind is concentrated to the point and at the end of 1 hr your forehead begins to heart with the intense concentration. You do this practice for about 4 hrs. Now that you are ready Goenka Ji introduces you to Vipassana. The technique is to run your mind from top of the head to toes covering each part of your body in a certain flow and observing the sensations. Each journey of the mind takes about 10 – 15 minutes and whenever you don’t observe any sensations you stop for a minute at the spot. You suddenly realize that the full body is actually throbbing with sensations. I found this to be similar to “Yoga Nidra”. Yes the Anapana Sati has helped you to assess and observe the sensations in your body a lot better. But conceptually it is similar. You do “Yoga Nidra” for 10 – 15 minutes after Yoga to relax your body , while this is a lot deeper and you spend days focusing on the sensations across your body. I was a trite disappointed. I was expecting more. Post our learning we practiced for some more time. By day 3 you could see some change in the room. People were beginning to cough, burp, sneeze, and fart – by day 4 night this was increasing a very rapid pace. This just psyched me out. In a dark, dimly lit room with about a 100 people creating funny noises was not a pleasant experience. It affected my concentration and I was struggling to focus from Day 4. Add to this the level of energy is very low. People lost in their own world walking like zombies with slow steady steps starting into space made me feel that this was somewhere a mix between an asylum and a government hospital. I exited on Day 5. 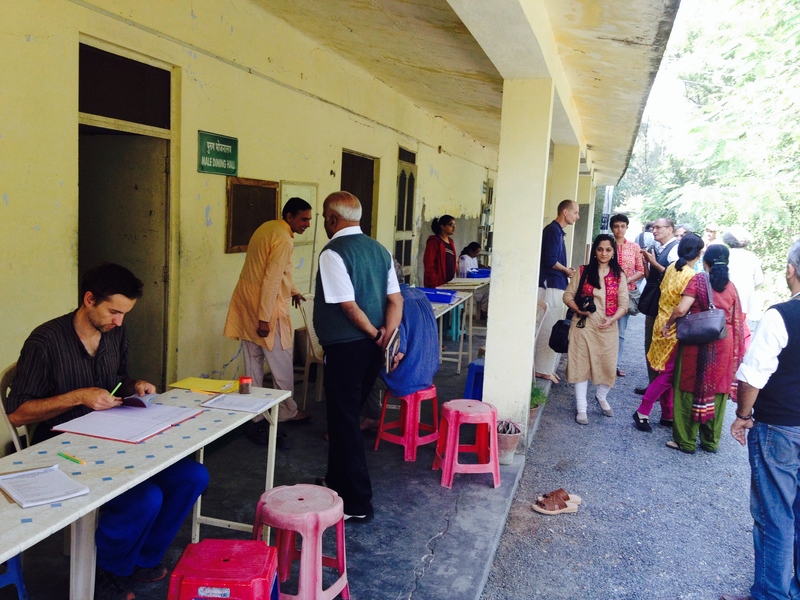 Most people exit on day 2 or Day 6 – I am told that 25 – 30 % of attendees exit. The reason most leave is because of the frugal food, Spartan facilities, the inability to communicate, or a struggle to sit cross-legged for 10 hrs. None of this affected me. I loved the simple food, enjoyed the peace and quiet of noble silence and my living quarters reminded me of college. I was beginning to enjoy this like a resort and hoping I could make it a yearly trip. But two things that did not work – One the negative energy. You come to a program to get the adrenalin pumping – to get motivated & charged. Even the Acharya and successful returning meditators look like people from another planet. Weak & frail. That’s not something I want to be. Maybe they have tremendous internal bliss. But I guess I am not ready for that – YET. And secondly the effect of meditation and the cleansing process was releasing all the impressions from the mind. The only way it can get released is thru yawning / burping / coughing.. . I somewhere saw this as a cloud of negative emotions hovering around the dimply lit room like a shadow of negativity – and that freaked me out. Am I disappointed – Yes & No. Yes because I did not complete a project I wanted to do for long. No – because I learnt the tool of Anapana Sati which I can put to use effectively on a day-to-day basis. I have learnt the right way to meditate – rather than focus on Om, a lamp, a mantra – its better to focus on sensations on your body. Also I got an opportunity to visit the world famous Bodh Gaya Temple and to understand Buddhism a little better. It’s interesting to speculate why Buddhism lost out around 500 AD and Hinduism revived (That’s a separate blog – Coming soon). I also missed out visiting Nalanda that was just 60 Km away ( 3 hrs on Bihar Roads) . This whole stretch is worthy of a holiday Varanasi – Khajuraho – Bodh Gaya is a interesting 1 week circuit. I am sure millions have benefited from this program. It surely delivers value. The organization is committed and the band of volunteers (Dhamma Sevak’s) is amazing. Most Sevaks in our program were from abroad – France, Kosovo, Prague. More than 30 % of the participants were foreigners. They don’t charge a pie for the 10-day program and exist purely on the charity of people who complete the course. In todays world who would invest in your well being for 10 days with food and lodging free of cost with so much committment ? As I left I requested them to accept a donation – they were categoic that they take donations only from people who complete the course. This did upset me a little – but I hope I can contribute in some manner or come back later when I am more prepared. 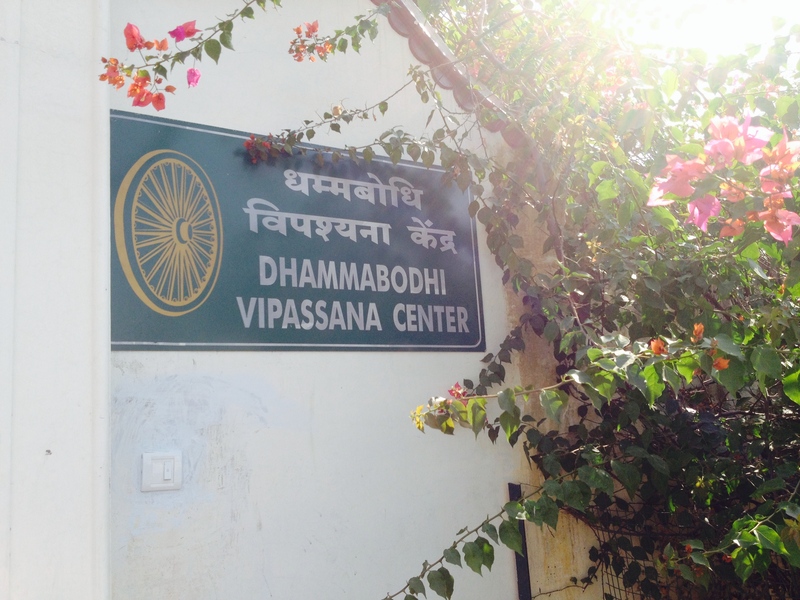 Vipassana is a great example of how good things don’t need marketing. Every year 1300 teachers train over 120,000 people globally. Compare this to Baba Ramdev, Sri Sri and many of our current age spiritual gurus who run marketing campaigns to fill up their paid classes. What Goenka Ji has started and built is indeed very impressive. Sadly the media (paid media) hardly gave Vipassana any visibility. Even the recent death of Goenka Ji in Sep 2013 a Padma Bhushan winner was poorly reported. So what next – Isha Inner Engineering was high energy & fun and Vipassana was different & interesting. I have Osho in my mind. But as of now – I am going to let deep spirituality and inner well being take a bit of a back seat – its back to family, work, gym, yoga and my weekly Vodka! 4. Once you have completed the initial 10-day program you can attend others – there are 10, 20, 30 & 45-day programs. There are also 2-day refresher sessions on Anapana Sati sessions dedicated only for Sr students who have attended 1 course – many keep coming back for repeat sessions. you’re right, many leave in a couple of days, like you did. many years back, my mom had tried it on the outskirts of bangalore and returned in about five days. i’ve been thinking of doing it myself, but haven’t had the courage to try it yet. Hi, my name is Samir Patil. i live near Baltimore, Maryland USA. I did my first vipassana at igatpuri – maharashtra. now i go to delaware center of vipassana & do some courses over here. i want to tell you that vipassana is growing so popularly here. many people whether whites/black/latinos & different cultures are taking this course every day. its becoming so popular. the whites here are so dedicated & committed. vipassana is growing . i am glad to be indian.